Webmail for each email address . Webmail is a E-Mail software that allows you to read an email where & anytime: at home, at wor k or anywhere. – E-Mail Forwardin g to add, edit & delete your e-mail forwarding. You can divert email example: sales@yoursdomain.com to admin@yoursdomain.com & user@yoursdomain.com, etc. – Auto Responder to add, edit & delete the e-mail Auto Responder you can use as an automatic response. – DNS / MX Management to change the DNS, MX, CNAME, etc.. Indispen sable if you use free web mail like Gawab.com, BigMailBox.com or OemMail.com. – Domain Forward ing to divert all mails from one domain to another domain. For example: if you redirect emails from domains.com to onlineshop.com, then all emails sent to user@domains.com will be sent to name@onlineshop.com (eg: user@domains.com will be sent to name @ Onlineshop. com). – Catch All that can be used to anything@yoursdomains.com sent to one of your main mailbox. – POP3 Mail Password Changer to change the password of your own POP3 email without having to contact the webmas ter / admin you are replacing it for you! Because your email password is confid ential! – File Manager to upload, edit, delete, protect & change the permissions on your files . – General Account Information section to see the amount of website space, database space, bandwidth, su bdomains & mailing lists are still available. So you can determine when you should upgrade your hosting package. – General Server Information to see the version of Operating System, apache , php, database, perl & module, sendmail, bind & ftpd. – Image Manager works to crea te thumbnail images (small size photo), resize photos and convert images from on e format to another. – FTP Accounts Manager to add, remove & replace the FTP password. – Anonymous FTP controls to create a public access FTP. – ClamAV Virus Scan, anti-virus which is used to analyze E-Ma il, your home directory, the contents of your website and your Public FTP. – Spam Filtering ( Spam Assassin) to control email spam into your mailbox. – Box Trapper serves to ward off an e -mail from senders not on your white list (you do not recognize the sender or o ften called spam). With the Box Trapper, before the sender (which is not in you r White List) can send you an email, the sender is required to reply to the ve rification email that is sent automatically by your email account. – Web Protect (. htaccess e ditor) to protect a specific folder on your website by using the “username” and “password” certain. – Leech Protect function to protect the “Web Protect” above. If you provide y our username and password specific folder (eg http://yoursdomain.com/folder) to your friends and then your friends give username + password is open to the pub lic (eg the forums or mailing lists), then chances are Leech Protect can help y ou. You can determine how many users are allowed to enter the username & password within 2 hours (eg 2 users). You can also arrange for you to get an email alert whenever there is more than two users who try to sign in using your username and password pa ge. You can also decide to address what the user will be redirected. – Hot Link Protection a llows you to specify what file extension (eg. Jpg) that can not be Direct links by other websites (Direct Link = file can be downloaded directly from other we bsites without having to open the HTML of your website). Other websites can st ill access your files that others such as files with the extensions:. Html,. Ph p and so on, depending on how your setup. – IP Deny Manager IP Address functions to determine what you do not allow to access your website. Very handy for protecting your pri vacy. – Web Statistics Webalizer to analyze the number of visitors to your website in detail. Per day, per month, coming from a website which, from w hat country and many more. Not just an ordinary counter. – Statistics FTP FTP user to analyze the activity in your account. – AWStats, other software to analyze the number of visitors to y our website in detail. Another alternative for those who feel less comfortable w ith Webalizer. – Analog Stats, additional software to analyze the number of visitors to your w ebsite. But with the version that is simpler and easier to read. – Subdomain statistics to ana lyze the number of visitors on your website subdomain. – Latest Visitors to display the last 300 visitors on your website and some interesting information about them. – Bandwidth Usage to find out how many bytes have been transferred by your website. – Error Log to display the erro r message generated on your website, such as image files that do not appear, los t files and so on. Very useful for those who use programming languages ? ?such as CGI Scripts, PHP and so on. – Raw Access Logs for your website to download the raw logs. – Backups consist of: Full Backup, Backup Home Directory & Database backups. Now you can have backups of your website on your home computer hard drive! – Restore backup to restore the backups that exist on your computer to your website. 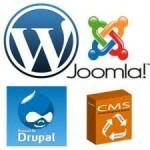 Backup and Restore you can do your own website with easy and convenient, anytime. Data security more secure your websit e and in your hands. – phpBB Forum (Bulletin Board) to display the discussion forum on y our website, so that your visitors can interact on your website. – Agora Shopping Cart shoppi ng cart functions to manage your website visitors that your product is more easi ly selected and paid. – Simple Guestbook for a simple guestbook. – Advanced Guestbook guestbook for a bigger , run with PHP & mySQL Database. – Counter website to display the number of visitors on your website. – CGI Email, alternative software. Almost the same as Form Mail above. – Banner Rotator funct ion to display random banner ads (auto switch) on your website. – HTML Chat for adding a chat facility on your website. – PhpMyChat to add a chat facility on your website, but is supported by mySQL database. – Random HTML Generator to display the message / text randomly (auto switc h) on your website. For example to make: “Today’s Tip” or “Humor Day”. – Real Time Java Clock to display the hours in “live” on your website. – Date to display a countdown clock back up to the time that you specified. – MySQL Databases Manager to create / modify / drop / insert tables in your database! – Sub Domain Manager to a dd & remove a subdomain (http://subdomainsname.yoursdomain.com). Each equipped with its own FTP upload password. – Subdomain statistics to analyze the number of visitors on your website subdomain. – Traceroute to check the domain, IP, ping, whois, DNS records and so on. This entry was posted in Cpanel, Hosting and tagged cpanel, hosting, tutorial, Usiang cPanel, using capnel. Bookmark the permalink.